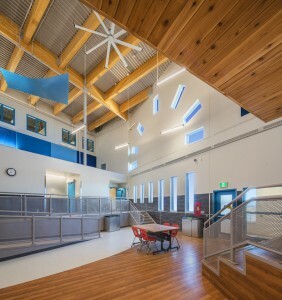 Tuugaalik High School, Naujaat, Nunavut has been selected to appear as an Outstanding Design in the 2017 American School & University Educational Interiors Showcase, the premier competition honouring education interiors excellence. This year, the panel of Educational Interiors Showcase judges selected 70 projects to be featured in the August issue of American School & University. This list is posted on SchoolDesigns.com site at http://schooldesigns.com/Educational-Interiors-Showcase.aspx. Congratulations to the team for their outstanding achievement!